Professor Wallace, a world authority on Michelangelo, will illuminate this masterpiece and help you see it with fresh eyes. 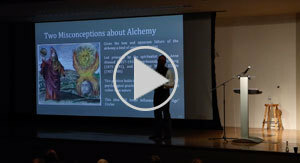 Justin Sledge's presentation is grounded in the history of alchemical art and symbolism. The topic will appeal to everyone from Harry Potter fans, to those interested in the history of science, as well as people interested in the esoteric/occult mysteries of spiritual transmutation. 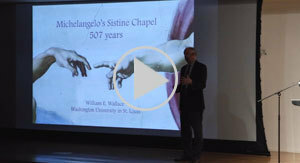 The International Director of the Patron of the Arts in the Vatican Museums will offer an inside view to the fascinating world of art restoration that is carried out on a daily basis in the Vatican Museum’s six on-site restoration laboratories. 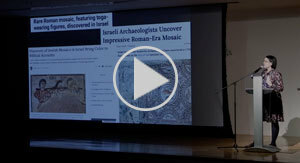 In Piecing Together the Past, FIA Curator Tracee Glab offers a unique perspective on mosaics she visited during a recent trip to Israel. 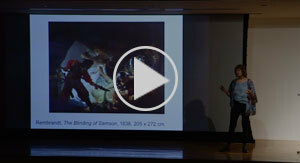 Dr. Shelley Perlove offers special insights into the trials, passions, temptations, and tragic losses endured by Rembrandt's biblical figures, who were heroic and bigger than life, yet also eminently human and flawed. Lecture Date: March 2, 2019 Guest Lecturer: Nii O. Quarcoopome, Ph.D. 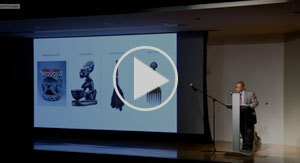 This illustrated lecture reflects on the complexities in African art’s creation and use, to its ultimate commodification in the West. The Thompson Lecture was established in 1991 by Dr. and Mrs. Jack W. Thompson to enable the Flint Institute of Arts to present a distinguished speaker in the arts or humanities each year. 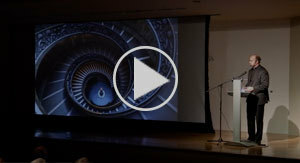 Illustrated lectures by scholars, collectors, and educators present diverse perspectives and introduce new ideas about art. Check back soon for upcoming lectures.